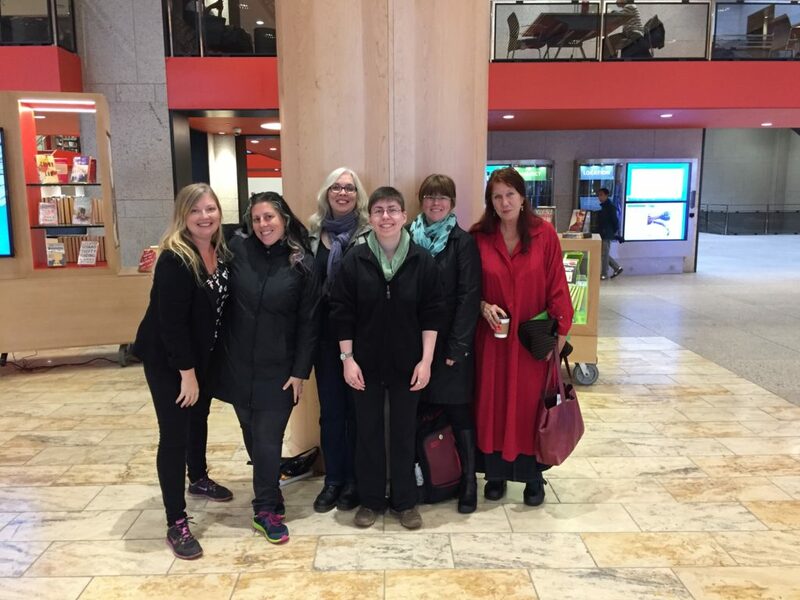 My name is Anna Draves, and as one of the Reader Services librarians at the Boston Public Library, I facilitate our creative writing Learning Circles. A little bit about me, I’ve been writing fiction for most of my life and though I haven’t published anything yet, I have taken many creative writing classes and have been a participant of National Novel Writing Month since 2004. During the summer of 2017, I created my own Learning Circle for fiction writers, and have since facilitated it twice. I would like to share my story so you can see what I did and perhaps create your own Learning Circle, whether you know a lot about your subject or not. As I was getting ready to facilitate an eight-week fiction course, I didn’t realize the one I had chosen was not available during the time of my class until after I’d scheduled time for it, created fliers, and added it to our online calendar of events. With only a month until the class was to start, I didn’t feel I could cancel it, but I didn’t know what else to do. There was another online writing course I could have offered, but it was only three weeks long and didn’t cover even half of what I would have wanted from a good, in-depth course, had I been the student. Also, the first registrant for the class was a self-published author for whom the three-week course would have likely been very inadequate as well. I had been using Pinterest to find and organize online articles to help me with my own writing, and it was to my writing board on Pinterest, that I turned, in my panic. If these articles could help me, why couldn’t I use them to help other writers? These went in-depth on specific topics like creating good female villains, writing about unfamiliar places, and how to write good conflict. Aside from using Pinterest for the articles to recommend, I also searched the internet at large for more articles to fill in the gaps. It didn’t take me long to realize that the scope of this project would require its own website. WordPress is relatively easy to use, and free, but WordPress Web Design for Dummies by Lisa Sabin-Wilson was helpful for a few things I wasn’t sure about. I designed the eight-week beginner class (learntowritefiction.net) so that students would read the articles on a specific topic, such as dialogue, and do some writing exercises at home. Then they would come to the library once a week and meet with their classmates for some group exercises and to talk about what they did at home. Each week in the course has its own page, which includes the homework, as well as the in-class exercises, so everyone knows what to expect when they attend class. There is also a Recommended Reading page if students want to read more on writing beyond the class. My first class of students was great in suggesting things they wanted to see in the class. I was upfront with them about the fact that I’d created the course in a month’s time and that there were things we could change if they had any ideas. They wanted to be able to communicate with each other outside of the classroom and someone suggested Slack, which is a free shared workspace where conversations are organized and accessible. Note, however, that Slack does not take the place of the classroom discussion. The first class used it to ask about topics that weren’t covered in the reading or to point out other articles they found, which I could then add to the class material. The second class used it to bookmark things they discussed during class and hardly used it outside of the classroom. The students also requested an in-class writing time, to “get them in the mood” to talk about writing, so I added that in as part of the in-class routine. The hardest part in facilitating this course is not going over time. It’s very easy to get into a discussion or a group assignment and go over the two hours when we’re having fun. The first class asked for advanced classes on specific topics like world-building for sci-fi and fantasy, how to write a series, and publishing. The second class I facilitated asked for a “follow up” course on editing for those who had taken the course in September, participated in National Novel Writing Month in November, and wanted to work on their manuscript in January. As the site had been designed for one course, I needed to go back and rework the site to allow for more classes. This also allowed me to include a facilitator guide so that anyone else looking to facilitate the courses would have an idea of what to do. For the 2018 year, I am giving myself more time to create the courses and am focusing on the world-building class and the course on writing a series. Since there are other large projects to do for the library, the other two courses, publishing and editing, will likely get created in 2019. But, knowing the setup and design for the classes is half the battle. I started creating the world-building course in October and just finished it at the end of December. This is a seven-week course that I’m excited to be facilitating in February 2018! Being flexible is very helpful. The second class didn’t find the Slack account nearly as useful as the first class did, but that’s okay. Being flexible also allowed me to make changes to the course so that it could work better for the students taking it. Keep it laid back and fun. Students will get as much out of it as they put into it, but they won’t get much out of it if they’re not enjoying it. My students have kept in touch once the classes were over, and some even continue to meet once a week to talk about their work! Having a free WordPress website isn’t always the best way to go, especially when you want to look professional. The URL is unwieldy and WordPress has decided to post ads on their free websites at will, which are large and unsightly. For $48 dollars a year, I can have a clean URL and a clean website, and look professional all in one go. I’d rather not have to pay, of course, but I’m much happier with how things look. You can find the site listed with the other Learning Circle classes at Peer2Peer University, or at www.learntowritefiction.net.